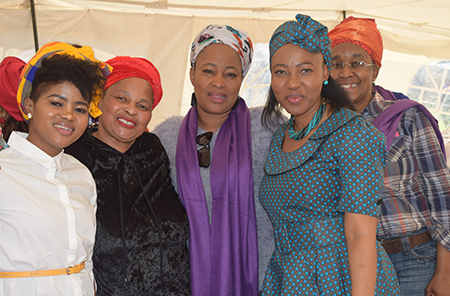 The North-West University’s (NWU’s) campus in Mahikeng hosted an event to celebrate Women’s Day on Friday, 17 August 2018. During this event, female students and staff members were alerted on issues of domestic violence and women and child abuse, the dangers of social media and the internet, as well as self-defence for women. Speaking at the event was Ms Charlotte Mokoena, an NWU alumnus and executive vice-president of Human Resource and Corporate Affairs at SASOL. She encouraged staff and students to choose the right people to associate with. “The people you associate with have a direct influence on every decision you make,” she said. Ms Dineo Mongwaketsi also addressed the audience and urged female students to become part of the business world. In a written message to all the campus women, Prof Marilyn Setlalentoa, the deputy vice-chancellor for campus operations in Mahikeng, expressed her appreciation for the roles NWU women are playing to make the university a better place. She also urged all staff and students to join hands to fight the scourge of gender-based violence that is taking place in the country. In celebration of National Women’s Day, NWU women came together to acknowledge the important role they play in society.